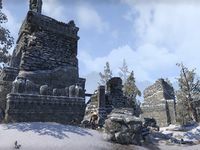 Forlorn Watchtower is a tower located north of Orsinium. A hidden exit from Bonerock Ruins can be found here. Wrothgar Master Seeker 10 Discover all of the striking locales in Wrothgar.